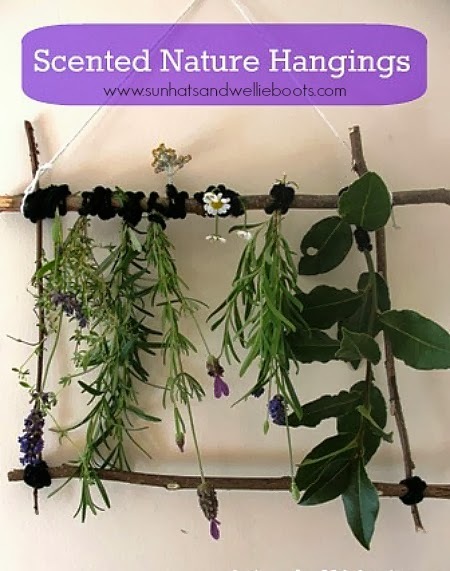 Inspired by a craft we discovered at a recent Festival, we thought we'd have a go at creating a hanging nature sculpture. Minnie has been growing a selection of herbs in her garden area, & regularly uses them as props for her imaginative play! 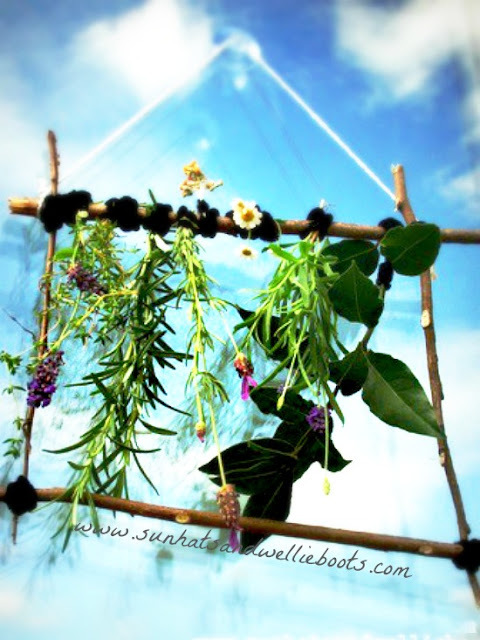 For our scented nature sculpture she collected a selection of her favourites; lavender, thyme, rosemary, curry plant(! ), mint, & a few bay leaves from our bay tree. Then we set off on a stick hunt & came back with enough to make about 20 of these hangings!! My girl is very keen on sticks!! 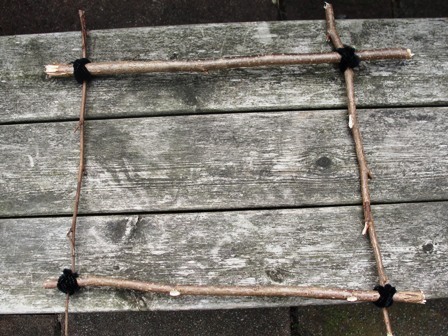 We laid some of the sticks out to make a frame & started to tie them together with garden string. 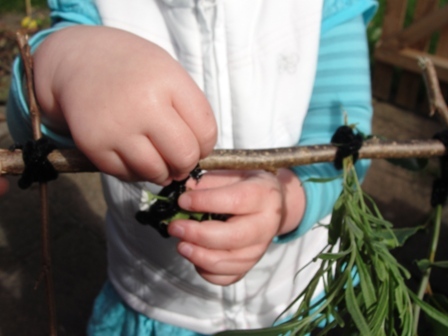 Minnie found the string a little too tricky to wind, so we swapped the string for some pipe cleaners which were much more pliable for little hands. 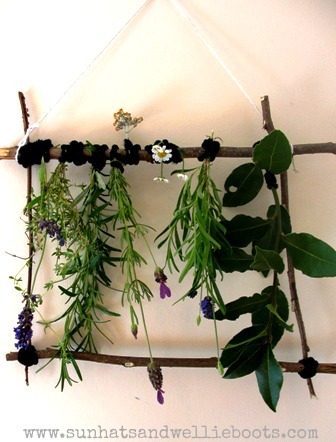 (Florist wire would work well perhaps for slightly older children.) Minnie wound the pipe cleaner around the frame (with a little help from me to start) until the sticks were all secure. 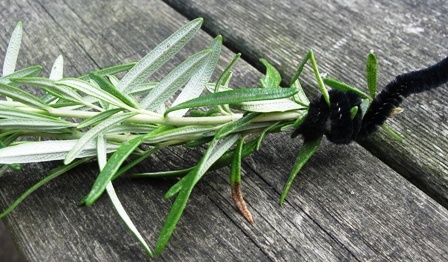 Then using another pipe cleaner she wound it around the stem of one of her herbs, before winding it around the top of the frame. 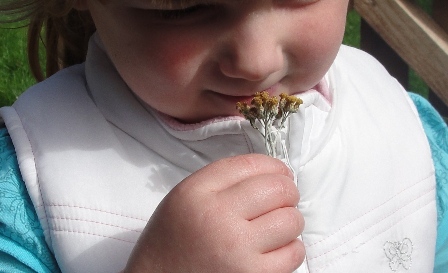 She added more herbs, smelling them & exploring as she went, until she had finished her creation. I added string to the back of the frame & it was ready to hang up inside. I have to say it smelt fabulous! It looked pretty good hanging outside too. We attached it to our living room window with a suction hook, so we could have the best of both worlds, admiring it inside & outside the house. 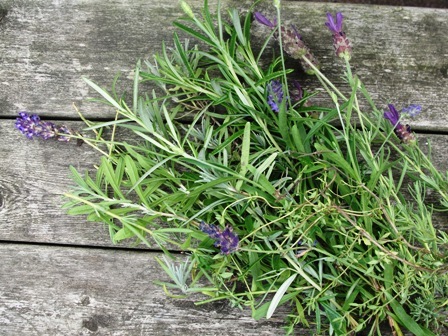 Here's a simpler version, using just herbs & a pipe cleaner. 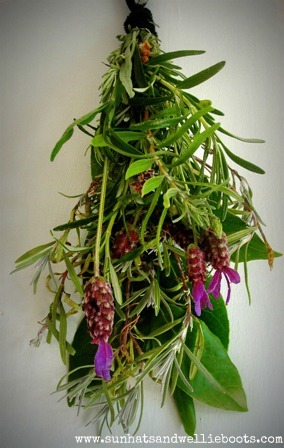 This has been hanging in our kitchen now for over a week, & although the herbs have dried it still looks & smells great.